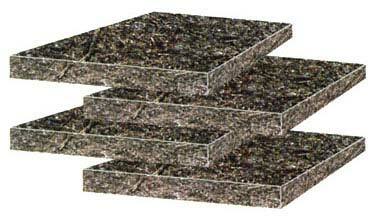 We bring forth Expansion Joint Filler Board which is made of compressed dry wood fibers impregnated with bitumen. The Expansion Joint Filler Board prevents cracking due to change in the weather and also allows joint to freely expand in summer and contract in winters without damaging the concrete slabs. Besides, our Expansion Joint Filler Board also restricts the deposition of foreign material that facilitates free movement of concrete during expansion and contraction and thus prevents cracking.